Helping Dell.com anticipate the decision support tools needed by IT professionals. Corporate IT leaders juggle many decision factors as they support critical computing infrastructures. To help stay up-to-date in understanding the issues related to evolving technology that were important to their channel partners and B2B clients, Dell turned to Essential for insights and direction. 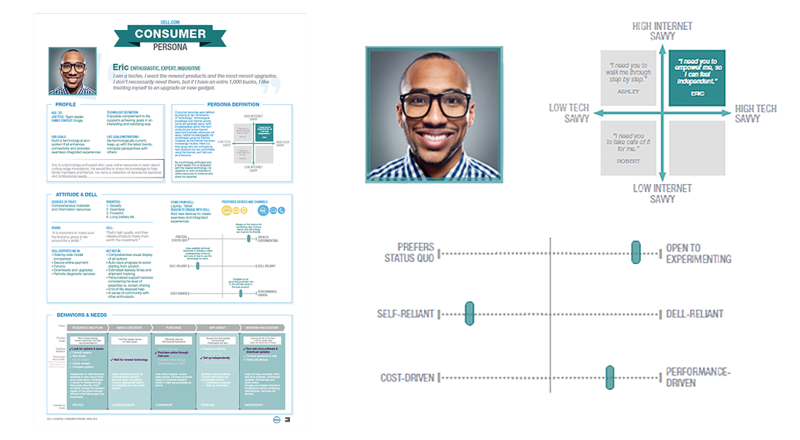 Through primary research across customer segments, Essential observed and described important patterns of decision-making for IT professionals, compared with the Dell.com experience. 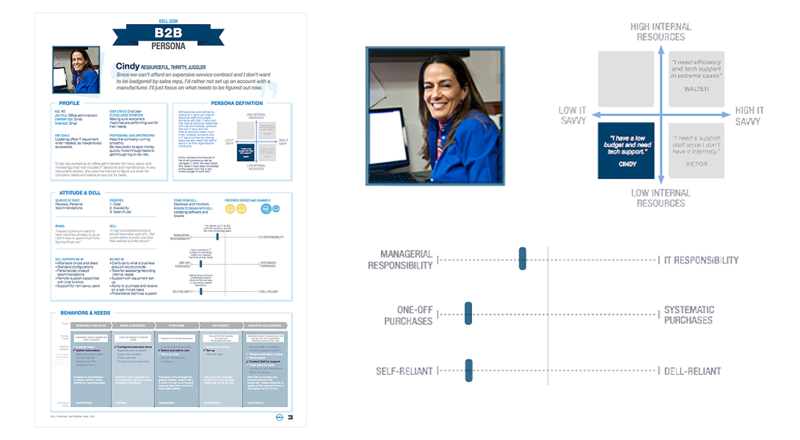 The project team developed customer personas and experience maps characterizing procurement workflows, information dependencies, and design factors. This foundational knowledge has enabled the internal UX team at Dell.com to deliver experiences better aligned to its professional and institutional user base.